TWD TradeWinds, Inc. (TWD) received the 2017 VWR Platinum Award in Operational Excellence at VWR America’s Sales Conference held last week in Orlando, FL. The awards were given to a selected group of suppliers who have demonstrated excellence in all aspects of operation, including on-time order fulfilment and invoice accuracy. 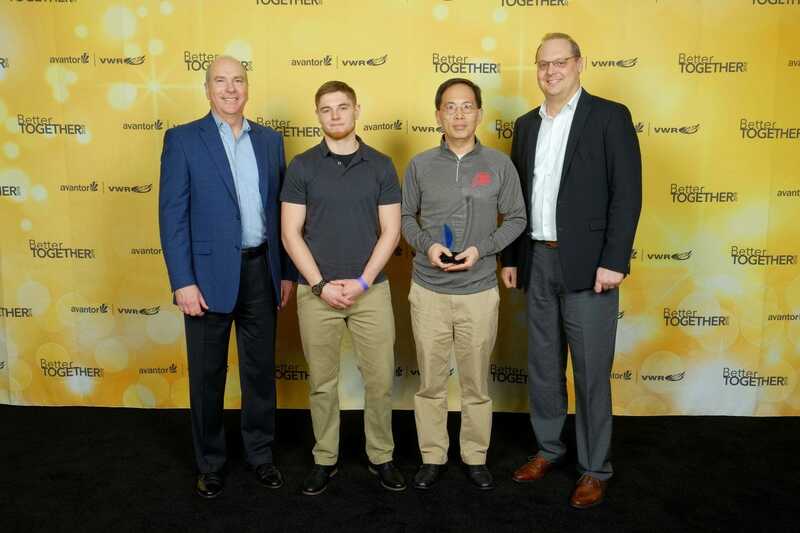 “TWD is honored with the recognition from VWR International for the 2nd year in a row and appreciate VWR’s continued supports to TWD and its affiliate, Kemtech America, in providing high quality products at competitive prices. More importantly, we are committed to support VWR in providing the best customer experience in the industry,” Dr. John Wang, President and CEO of TWD TradeWinds commented when asked how he felt about the achievement.